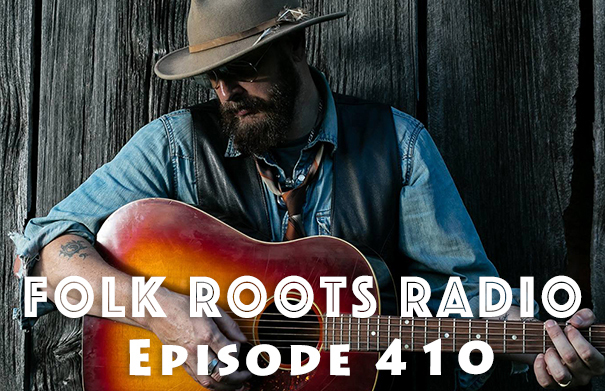 Episode 410 of Folk Roots Radio features an interview with singer-songwriter Ken Tizzard chatting about his latest release “A Good Dog Is Lost” – his loving tribute to Newfoundland Songsmith Ron Hynes who sadly passed away in 2015. We also check out more of the latest new releases, including new music from Paul Sachs, House Of Hamill, Tom Rush, Abby Zotz, Steafan & Saskia, Jesse Winchester and The Lay Awakes. Check out the full playlist below. 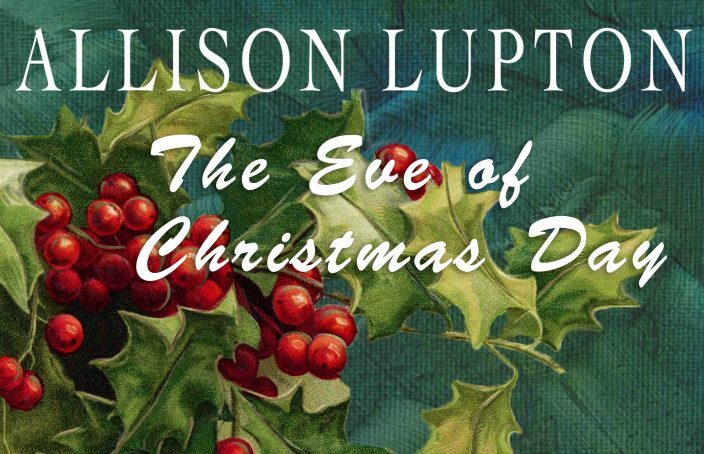 Acclaimed Cambridge ON singer-songwriter and vocalist Allison Lupton has just released a new single for Christmas, an original song entitled “The Eve of Christmas Day”. 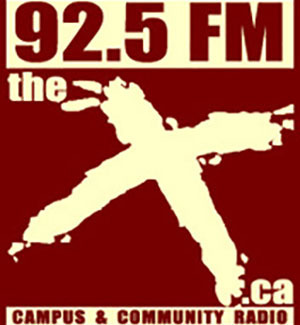 The new single was recorded at Canterbury Music Company in Toronto and also features BBC Radio 2 Folk Music award-winning trio The Young’uns (Sean Cooney, David Eagle, Michael Hughes) on backing vocals, New Hampshire guitar master Craig Werth, and a wonderful brass quintet arrangement by Tom Leighton. Check out the great video from the recording session HERE. Allison Lupton will be releasing her fourth full length album “Words Of Love” in March 2019 with release shows planned for Hugh’s Room Live (March 30), Kingston (May 24), Almonte (May 25), Goderich (May 31) and Cambridge (June 1). 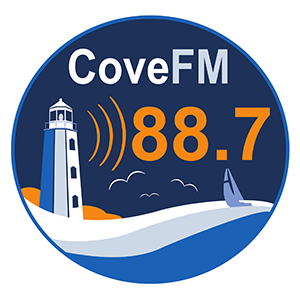 Allison will be joined by Tony McManus, Shane Cook, Joe Phillips, Ivan Rosenberg, and Andrew Collins. 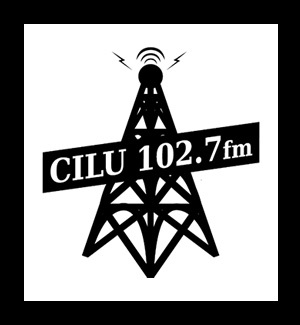 We caught up with Allison at home in Cambridge ON to chat about the new single. Visit Allison Lupton online at allisonlupton.com. Music: Allison Lupton “Half My Heart” from “Half My Heart” (2014, Self) and “The Eve Of Christmas Day” (single) (2018, self). 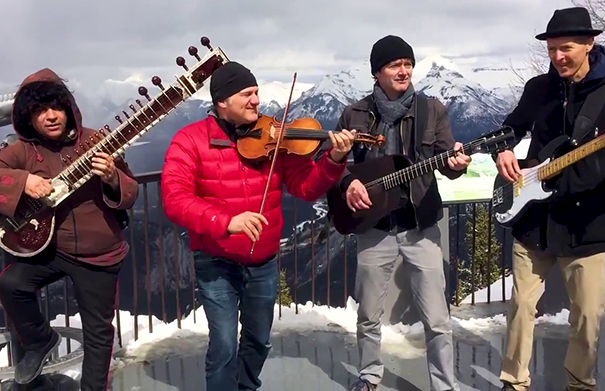 Sultans Of String are taking their Christmas Caravan out on the road again this holiday season, with an extensive tour that takes in B.C. and Ontario and then heads into the US, and depending on the date features some special guests. Christmas Caravan isn’t your typical holiday album – as the band and their guest performers take seasonal music into another realm altogether, with some fine vocals performances, wonderful high octane world beat music and some fabulous virtuoso musicianship. On this tour, the Sultans of String will also be raising money for the United Nations Agency for Refugees (UNHCR) in Canada who provide shelter, food, water, medical care and other life-saving assistance to refugees around the world. You can donate online HERE. Sultans of String leader Chris McKhool joined us again on Folk Roots Radio to chat about the upcoming tour. Check out all their tour dates at sultansofstring.com. Music: Sultans of String “Jesous Ahatonhia (Huron Carol)” (feat. Crystal Shawanda) and “The Little Swallow/Al Vuelo” (feat. The City of Prague Symphony Orchestra) from “Christmas Caravan” (2017, Self) CDN. 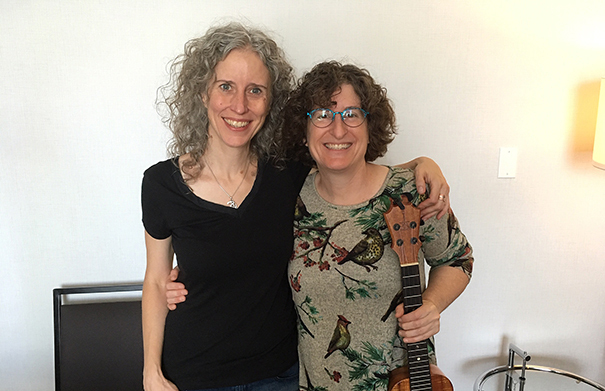 Gathering Sparks are the graceful collision of Jane Lewis and Eve Goldberg – musical friends who bonded over finely tuned harmonies and the craft of songwriting. Their inclusive approach embraces folk, pop, blues and gospel influences tastefully played on acoustic guitar, piano, accordion, and ukulele. 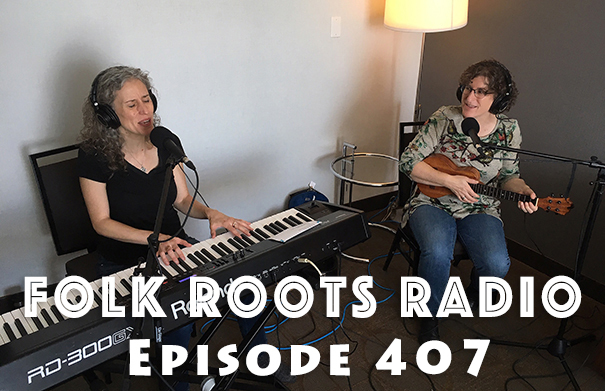 Eve and Jane join us on Episode 407 of Folk Roots Radio to chat about their music. They also play three live songs for us. 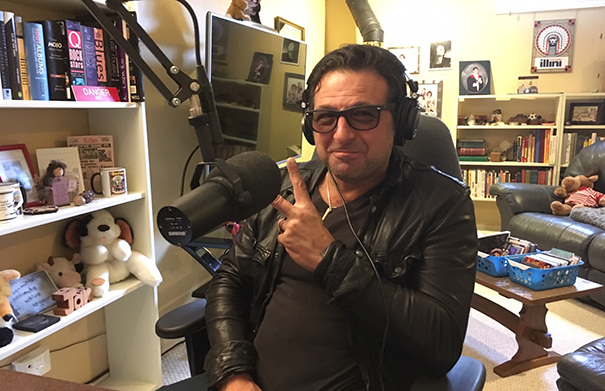 It’s a great interview, and definitely worth checking out. 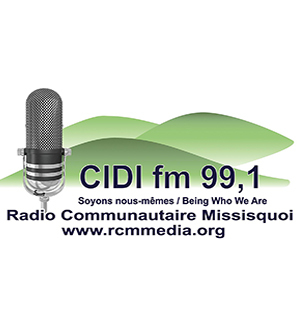 We also check out new music from Belle Plaine, Zoe Speaks, Rachel Baiman, Kate Campbell, Childsplay and Lucy Wainwright Roche. Check out the full playlist below. Guelph alt-folk singer-songwriter Innes Wilson landed on our radar earlier this year with his very well-received long player “Northumberland Slums”. A stripped down affair featuring just Innes Wilson’s voice, tenor guitar, tenor banjo and harmonica – that was actually his second new album after a six year break, the indie-pop “Bedford Hills EP” arriving in 2017. 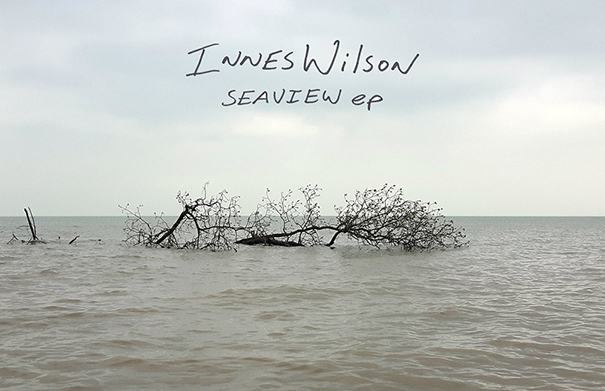 Innes Wilson has just released a further album, the four song EP “Seaview”. We caught up with Innes Wilson at home in Guelph to chat about his music. For more information about Innes Wilson, visit inneswilson.bandcamp.com. Music: Innes Wilson “Rough Falls” from “Seaview” (2018, Out Of Sound), “As Ink Dries” from “Northumberland Slums” (2018, Out Of Sound) and “The Ballad Of Earl Rowe” from “Seaview” (2018, Out Of Sound). Tannis Slimmon has been making music for over 30 years. 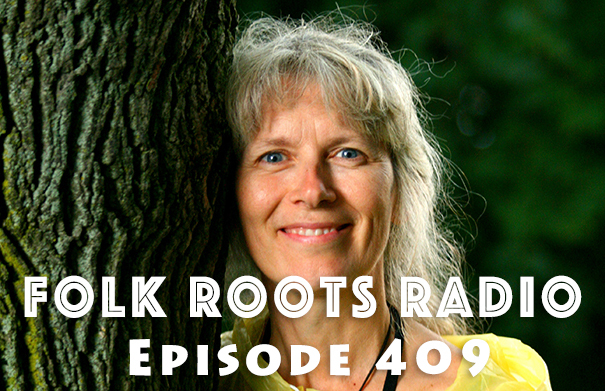 Tannis grew up in a musical family on a farm in Manitoba before moving to Guelph ON in 1980, announcing herself on the Canadian folk scene as a member of the critically acclaimed Bird Sisters (with Jude Vadala and Sue Smith). 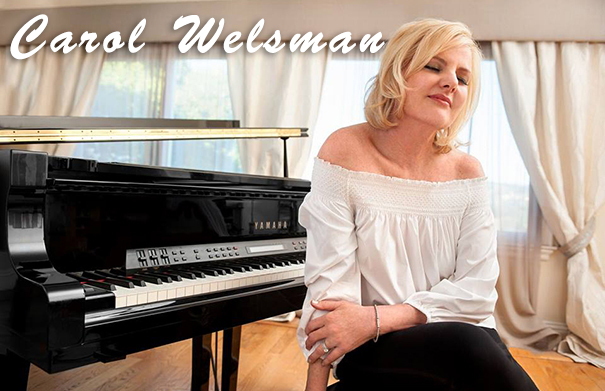 Since then, her music career has gone from strength to strength – with three great solo albums (with support from her partner Lewis Melville), taking home Contemporary Vocalist of the Year at the 2008 Canadian Folk Music Awards, for her second solo album, the fabulous “Lucky Blue”. Tannis has also been involved in many other musical collaborations including vocal groups Essentia & Ondine Chorus, The Lucky Sisters and currently Boreal (with Jude Vadala and Katherine Wheatley). Boreal’s annual Songs For The Snowy Season concerts start in late November. For more information on this year’s dates, visit borealsongs.ca. 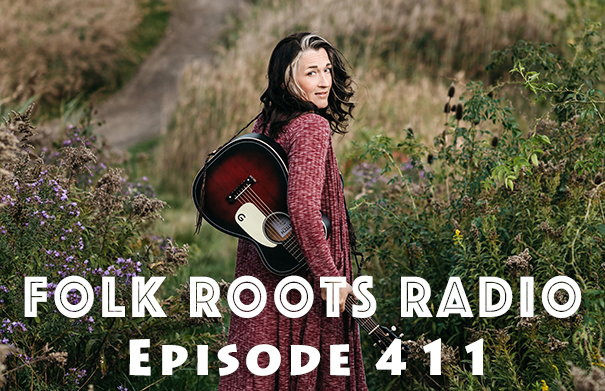 There’s also a new duo – Sweetcorn and Sunflower with fellow Guelph based singer-songwriter Annie Sumi – they’re just back from a tour that took them out to Vancouver Island. 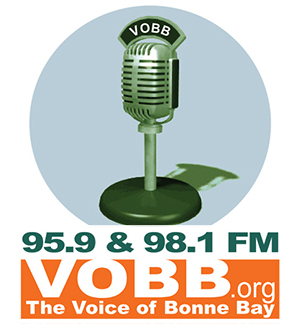 Check out the great video session they recorded at BNB studios HERE. The good news, for such an accomplished artist, is that Tannis is now able to make music full-time allowing her a renewed focus on her solo career, and her other projects. We caught up with Tannis Slimmon at home in Guelph to chat about her music. Visit Tannis Slimmon online at tannis.ca. Music: Tannis Slimmon “Our Time Now” from “Lucky Blue” (2007, Self), “Good News” from “In And Out Of Harmony” (2013, Self) and Boreal “Shovelling Snow” from “Winter’s Welcome” (2014, Self). Guelph singer-songwriter Doris Folkens has released a new song for Remembrance Day. 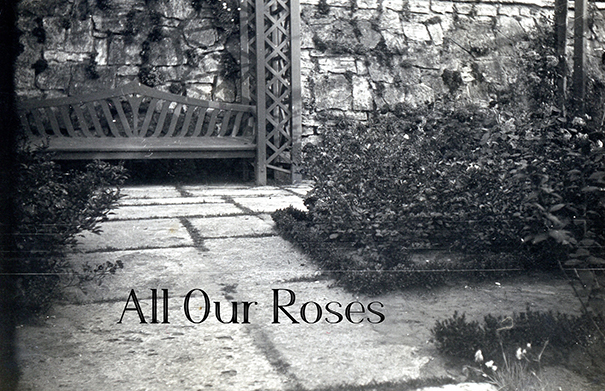 The new song, “All Our Roses”, is about her mother’s experience as a young child living in Hamburg, Germany during World War 2. Doris Folkens family history has provided rich material for a young singer-songwriter who is already developing a reputation as a storyteller. The song “Across The Sea” on her debut album is a song about a woman leaving home for love and a life across the sea. It’s also partly her mother’s story, as an immigrant from Germany, who found better opportunities in Canada. All Our Roses was produced by Andrew Collins who also plays mandolin on the new recording. 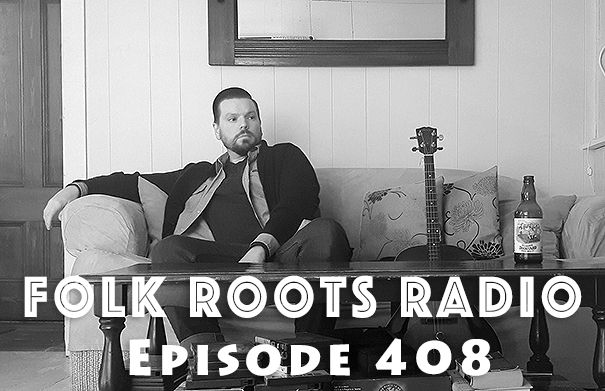 We caught up the Doris Folkens in Guelph to chat about the new song. For more information about Doris Folkens, visit dorisfolkens.com. Music: Doris Folkens “Across The Sea” from “Doris Folkens” (2018, Self) and “All Our Roses” (2018, Self). Jody Raffoul is just about to release his latest album “9 Wigle St Leamington Ontario”. Ten years in the making, it’s the story of his life so far, and a collection of true stories of love, loss, trials and triumphs with an emphasis on family. Often thought of as Canada’s answer to Bruce Springsteen, Jody Raffoul has built a very successful career as a working class pop-rock singer/songwriter who is as much at home in a small club as on the big stage. The Jody Raffoul Band will be performing CD Release shows at The Bank Theatre in Leamington on Friday, November 30 or Saturday, December 1 at 7:30 p.m (doors at 6:30 p.m.) and Sunday, December 2 at 7 p.m. (doors at 6 p.m.) with an opening performance from Jody’s son Billy Raffoul, who is now out in L.A. developing his own musical career. 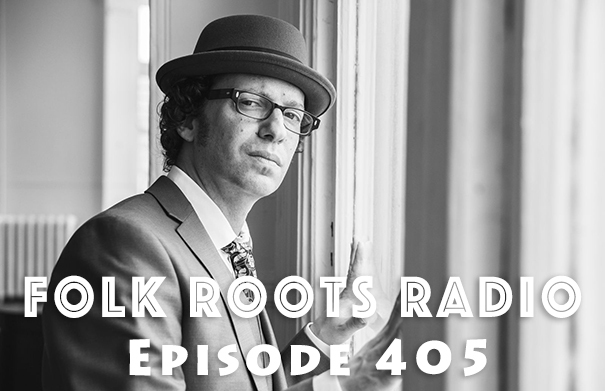 Jody Raffoul joined Jan Hall in the Folk Roots Radio studio to chat about this very special album and his hometown release shows. For more information about Jody Raffoul, visit jodyraffoul.com. To get tickets for the CD release shows (and they’re selling out quickly), visit banktheatre.com. 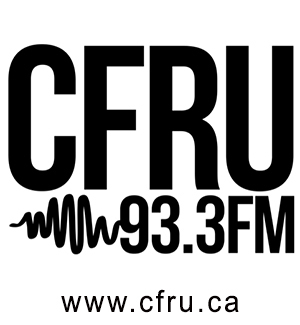 Jody Raffoul will also be performing as part of the supergroup The S’Aints at Caesar’s Windsor for Sleighing Hunger, an annual holiday music show that raises funds for food banks in Windsor-Essex and Chatham-Kent. That event takes place on Friday December 21 this year. For more information, visit sleighinghunger.com. Music: Jody Raffoul “Feel Your Own Love”, “I’m So In Love With You” and “A Long Way Back” from “9 Wigle St Leamington Ontario” (2018, Self). 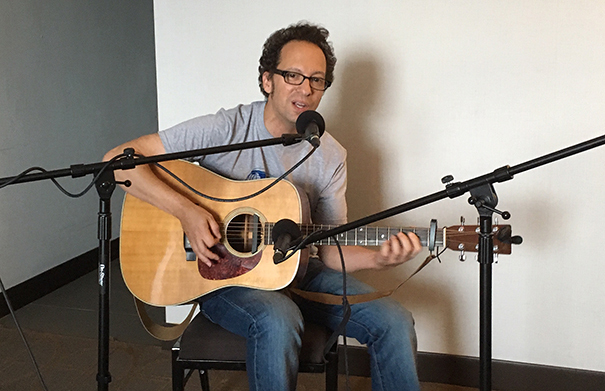 Jory Nash released his ninth album “Wilderness Years” earlier this year. It maybe his best yet, which is saying a lot for an artist who consistently produces great albums. It may also be his last – or at least for a while. As Jory explains during an in depth interview with Jan Hall at the Folk Music Ontario, its getting harder and harder to make a living as a singer-songwriter in a music world that is becoming so totally dominated by streaming companies that, at the present time, do not fairly compensate artists for access to their music. 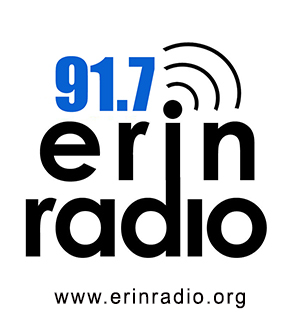 It’s a great interview, and well-worth checking out – and Jory also plays a couple of songs from the new album live for us. Wilderness Years was co-produced with Chris Stringer, and recorded at Union Sound with support from Jason Fowler, (guitars, mandolin), Devon Henderson (bass), Robbie Grunwald (piano, organ, accordion), Gary Craig (percussion), Dean Drouillard (6 & 12 string electric guitars), Burke Carroll (pedal steel), Kevin Fox (cello), Drew Jurecka (strings), Gene Hardy (sax), Jerome Godboo (harmonica) with Lori Cullen, Oh Susanna, Lydia Persuad & Chloe Watkinson (backing vocals). 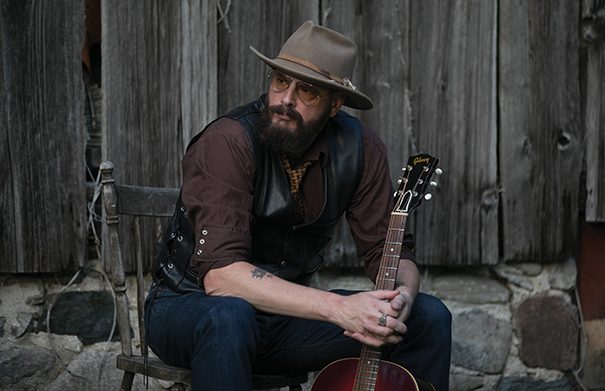 The new album has a lush and warm feel, and features 11 songs that are some of the most personal Jory has written, reflecting on the joys and responsibilities of new fatherhood, and crossing borders from folk and pop to soul, jazz and blues, with a nod to some of the great singer-songwriter albums of the 70s. Jory Nash plays Silence in Guelph on Saturday November 17 at 8 p.m. Visit Jory Nash online at jorynash.com. Music: Jory Nash “Sister Station” (Live), “Wilderness” (Live) and “The Astral Plane” from “Wilderness Years” (Thin Man Records, 2018). 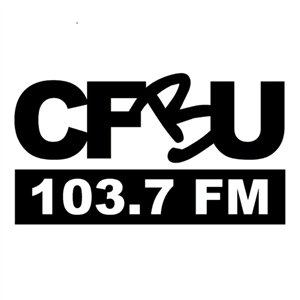 Guelph based singer-songwriter Annie Sumi‘s 2017 album “In The Unknown” has been nominated for New/Emerging Artist of the Year at the 2018 Canadian Folk Music Awards. 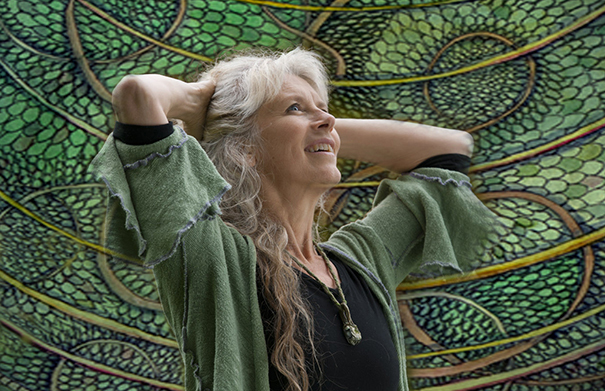 The follow-up to her critically acclaimed 2015 debut “Reflections”, In The Unknown is a fabulous release, filled with gorgeous songs that have a real connection to the world around us, and speak to the divine in everything. The bed tracks for the album were recorded off-the-floor at a remote Northern Ontario cabin while further instrumentation and vocal tracks were added at Revolution Recording and Union Sound in Toronto with producer Neil Whitford. With some wonderfully ethereal vocals from Annie, and a musical landscape created by guitar, piano, strings and more, it truly feels like you are wrapped in sound. 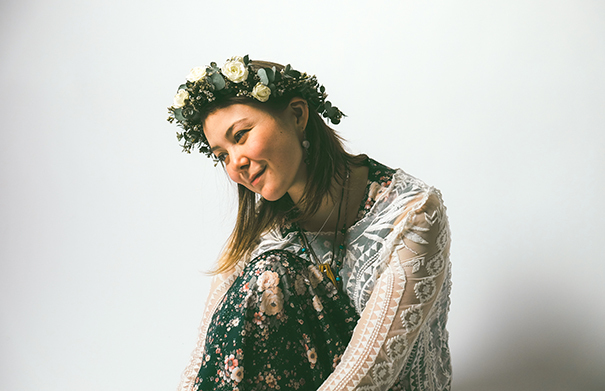 We caught up with Annie at home in Guelph to chat about her music. You can find Annie Sumi online at anniesumi.com. Music: Annie Sumi “Nightingale”, “In Everything” and “Evaporating Life” from “In The Unknown” (2017, Self). 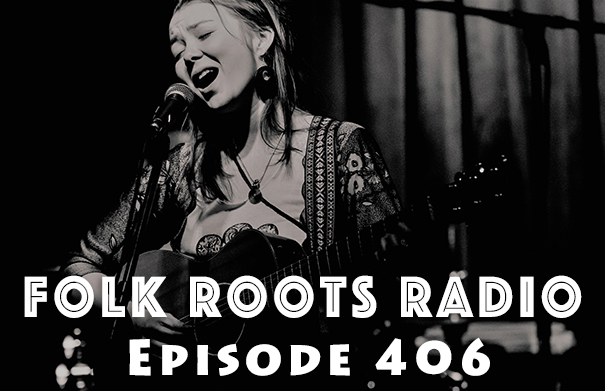 Sara Gougeon is a twenty year old singer-songwriter from Sudbury, Ontario and a student at the prestigious Berklee College of Music in Boston. 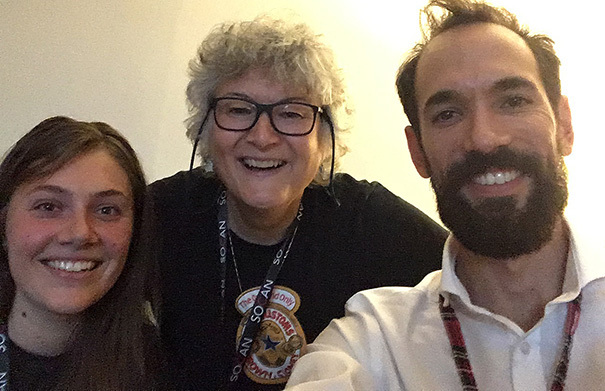 Sara was part of the Developing Artist Program that took place at the 2017 Folk Music Ontario conference, where she was mentored by Kaia Kater. You can check out our audio documentary from the 2017 Developing Artist Program HERE. 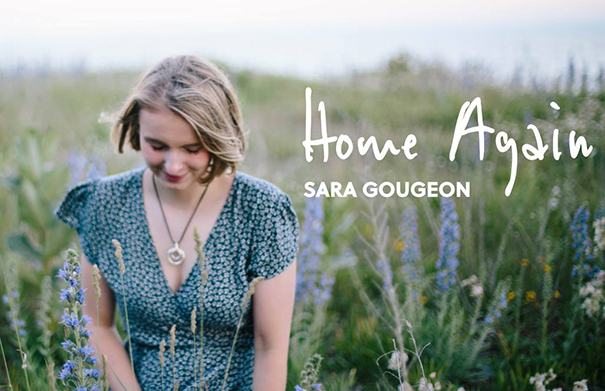 Sara released her first EP “Home Again” this past August. 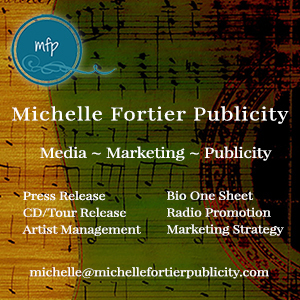 Her song ”Home Again” was a finalist in the folk music category of the 2018 John Lennon Songwriting Contest. We caught up with Sara in Boston to chat about the new E.P. For more information about the music of Sara Gougeon, visit saragougeon.com. Music: Sara Gougeon “Michigan & Friends” and “Home Again” from “Home Again E.P.” (2018, Self).